DC Comics Chief Creative Officer Geoff Johns took the geek world by storm several months ago when he announced the current DC movie and TV universes would not be connected. Instead of following Marvel’s synergetic approach, DC has elected to allow their movie and TV properties to grow separately. This quickly eradicated any hopes of seeing Grant Gustin’s Flash fight with the Justice League up on the big screen since a new cinematic Flash will likely be cast. Not only that, but as a result of this separation, DC will also keep their A-list heroes limited to the big screen. Basically, don’t expect to see Superman, Batman and Wonder Woman popping up on TV anytime soon. Not to worry, though. While the Justice League will form on the big screen in the coming years, Arrow and The Flash is already introducing multiple DC characters into their expansive world, and rest assured, we’ll likely see a TV Justice League of sorts eventually. Arrow already has a head start, not only with its titular character, but allies like Black Canary, Huntress and the soon-to-be-seen Ray Palmer and Katana. However, don’t think that The Flash is slouching. The show hasn’t even premiered yet, and we already know that Firestorm will be appearing. Plus, Cisco Ramone is a main character on the series, and if he follows the same path as his comic book counterpart, this means he will eventually become Vibe. We’re lucky to live in a time where B and C-list comic book characters are able to seen in live-action. If you told me five years ago that we’d see a live-action Firestorm, I would have said you were crazy! Despite several characters being off-limits to The CW (Ted Kord, for instance), the channel still has access to a vast library of DC characters, and with The Flash embracing its comic book roots, the sky’s the limit. Heroes who were unlikely to ever make a film appearance are ripe to be adapted for television. With that in mind, here are several lesser-known superheroes who would we would love to see appear on The Flash sometime during its run. There may be a stereotype of black superheroes with electricity powers, but that doesn’t make Black Lightning any less important. 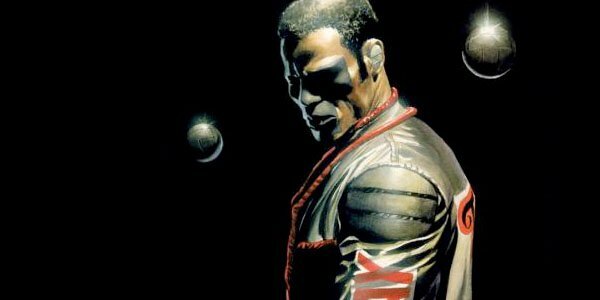 As one of DC’s first African American superheroes, Jefferson Pierce has maintained a steady presence in the DC universe. Originally an Olympic decathlon star, Jefferson moves to Metropolis with his wife to be a school principal in one of the seedier areas in the city. However, after discovering his innate electrical abilities, he took on the Black Lightning identity to fight crime lord Tobias Whale and the 100, a group of high-tech assassins. Since then, he has been an invaluable ally to many other DC heroes, and has had membership in the Justice League of America and The Outsiders. For The Flash, I imagine that Jefferson will likely be based off his New 52 counterpart, who is a teenager. Gaining his powers from the particle accelerator explosion, he would have trouble controlling his electrokinesis. 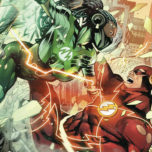 After getting into some accidental tussles (perhaps with one of the Rogues), he is rescued by Flash, and later, Barry gives Jefferson advice on how to deal with his new abilities. With Wally West’s role in the series uncertain, Barry needs someone younger to mentor, and Jefferson could fill that role. 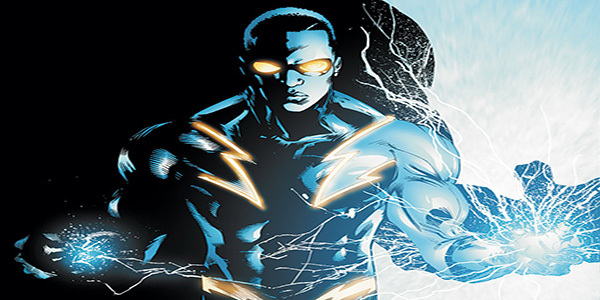 Fast forward several seasons, and depending on how experienced he is with his powers, Jefferson could become Black Lightning and help Barry fight crime in Central City. Maybe he could even hold down the fort when Barry needs to head out of town every so often…although with his speed, he’s probably not gone for long. Bruce Wayne is being kept to the movies, and Ted Kord can’t be used on TV right now. Where is one supposed to find a billionaire CEO with cool gadgets? Enter Michael Holt, a.k.a. Mr. Terrific. Michael is one of the most brilliant minds on the planet, possessing multiple Ph.Ds and a natural aptitude for…well, everything! After the tragic death of his wife and child, he decided to use his intellect and aptitude to help others as a superhero (in the pre-New 52 universe, he was inspired by the original Mr. Terrific Terry Sloane). Michael has a variety of gadgets at his disposal, from his T-mask, which keeps him invisible from other technology and acts as a communicator, to his T-spheres, which can be used as offensive tools and holographic projectors. Combined with his combat skills, Michael is a force to be reckoned with despite not having any superpowers. He’s just a guy using his natural talents to make a difference. The Flash may be bringing people with superpowers into this universe, but that’s no reason that a naturally intelligent guy can’t help out fighting crime. While Oliver Queen deals with Ray Palmer on Arrow, it would be cool to see another prestigious CEO make his way over to Central City. After hearing about the particle accelerator explosions and its unintended consequences, Michael’s curious side would want to set up a base in the Flash’s hometown to keep an eye on these metahumans and study them…but no in a Lex Luthor, mad scientist-kind of way. Seeing Flash keep the city safe from the more dangerous powered-people would inspire Michael to help out in his own way, both through crime fighting and using his company to help S.T.A.R. Labs. 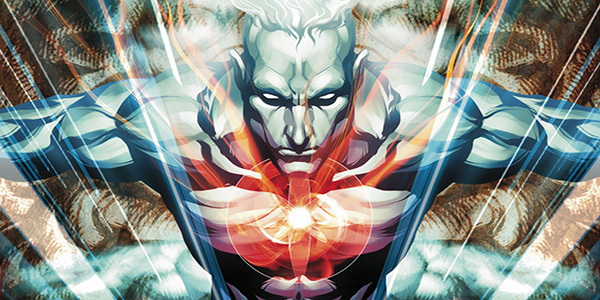 Captain Atom is one of the most underrated powerhouses in the DC universe. In the pre-New 52 universe, U.S. Air Force officer Nathaniel Christopher Adam was forced to take part in a military experiment as an alternative to being executed for a crime he was framed for. The experiment involved putting Adam in the hull of an alien ship and detonating a nuclear warhead underneath. As you can guess, the experiment went horribly wrong. Adam was seemingly destroyed, but he reappeared years later with the alien metal bonded to him and unimaginable powers. The New 52 changed his origin in several ways, such as him being a willing participant in the experiment and gaining his powers from flying a dimensional transfer vehicle, but regardless of continuity, Captain Atom has always been a hero of amazing power. His abilities range from super strength and invulnerability to energy manipulation and absorption. Captain Atom has some similarities to Firestorm (in fact, in the New 52, Atom can also transmute matter), but there are also enough differences to distinguish one from the other. The best part is that the show already has a way in to introduce Captain Atom: General Wade Eiling. As many of you know, Eiling will appear early on in The Flash leading a special ops team to hunt down Plastique, hoping to use her as a human weapon. With the talented Clancy Brown playing him, it’s a good bet that Eiling will be a recurring threat throughout the show, especially when it comes to metahumans. Oh, and did I mention that in the pre-New 52 universe, Eiling was the one who blackmailed Adam into participating in the experiment? See, it all connects! At some point in the series, Eiling could use military resources to try to recreate the particle accelerator explosion in a controlled violent. Like in the comics, Eiling coerces Adam and everything goes wrong, leading Adam to come back as the silver-coated, nuclear powerhouse Captain Atom. 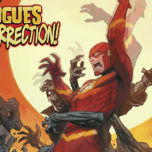 From there, he may try to take revenge on Eiling, but with Flash’s help, he decides to use his powers for good, while also dealing with the conundrum of whether he is still human or not. You’re probably asking why I chose the less popular of DC’s two main stretchy superheroes. 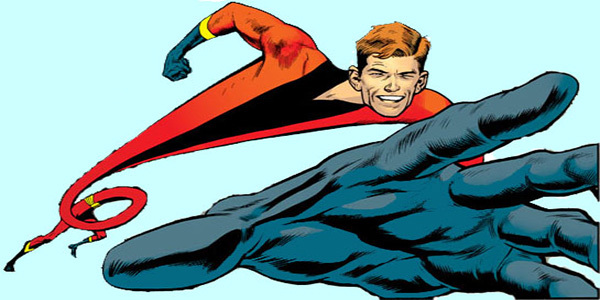 True, Plastic Man has more street cred (I can’t believe I just said that), but when it comes to The Flash, Elongated Man has more history with the Scarlet Speedster. In fact, Ralph Dibny’s first appearance was in The Flash vol. 1, #112, back in the good ol’ Silver Age. For those who don’t know, Ralph gained his stretchy abilities after eating a concentrated extract of the “gingo” fruit. When he first appeared, Flash suspected he was behind several crimes, but together they worked together to capture the real culprits. Besides his powers, Ralph is also an accomplished detective, which gives him a leg up on most of the other Justice League members…but not the guy in the bat costume. Ralph and Barry were good friends in the pre-New 52 era, and Justice League Unlimited even showed Ralph playing a Rock ‘Em, Sock ‘Em Robots rip-off with Wally West. Despite his disappearance in the New 52, it would be good if the TV series acknowledged his history with Flash. However, do not have the particle accelerator portals be responsible for his powers. That may work for The Rogues and other metahumans in the show, but Ralph needs to get his powers the old school way: drinking that gingo fruit cocktail, whether it’s concocted by his hand or someone elses. Okay, they can “science” it up if they want by adding other ingredients, but Ralph needs to gain his powers artificially, not through a freak dimensional accident. Also, they to keep Ralph a detective. That’s the perfect way for him and Barry to become acquainted in Central City. Considering The Flash will have CSI elements to it, why not have not have the forensic scientist and the detective team up together on a few cases. Investigate, superhero up, beat up the bad guys with speed and stretching. That sounds like an efficient duo to me. Ant-Man may be coming out in 2015, but DC already has Marvel beat introducing a shrinking superhero first (although whether Ray Palmer will actually shrink on Arrow is unknown). However, when it comes to heroic androids, Marvel will almost certainly win that race with The Vision, but that doesn’t mean that DC still can’t introduce their own. 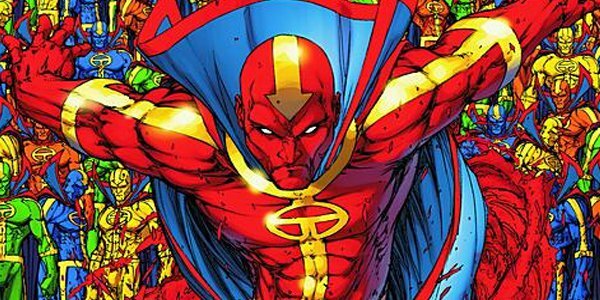 Red Tornado was created by supervillain T.O. Morrow to infiltrate the Justice Society. However, Tornado turned against his master and helped the Justice League defeat him, becoming a member of the iconic team soon after. Tornado’s cyclone abilities make him a powerful ally, although that hasn’t stopped him from being destroyed a few times…okay, many times. After one of these destructions, Tornado created a human identity for himself named John Smith. He later developed a relationship with a woman named Kathy Smith and together they adopted a child together. He’s living both the superhero android life and the family man life. Red Tornado’s introduction on The Flash would be tricky. 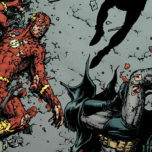 Morrow would obviously be responsible (after all, the character made his debut in 1964’s The Flash #123), but the circumstances of the android’s construction would have to be done properly. 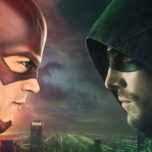 Arrow and The Flash may be based off comic books, but with a few exceptions, the technology available is largely the same as in the real world. Luckily, one of those exceptions already exists in the series: S.T.A.R. Labs. Morrow could steal some items from the lab and use these innovative creations to create his android. Perhaps some future tech left over from one of Flash’s time travel fiascos could be mixed in as well. Either way, Morrow creates the android and sics it on Flash. Barry get beaten by Red Tornado at firs, but after a flaw in his programming makes him realize that Morrow is a bad person, Tornado eventually teams up with Flash to defeat his creator. Tornado then leaves Central City to travel the world to learn about humanity, but he could reappear occasionally to lend a hand against other threats. If you liked this piece, make sure to check out my previous article on abilities we should see Barry use in the series here.